Jacksonville singer/songwriter will release 'This river', his seventh album in late June. It's three years since his last album, 'Georgia warhorse', so fans are looking forward to this new release, especially since some of the songs have been played live on his latest tour. JJ Grey says of the new album "Many of the new songs are about being your own worst enemy and about normal folks pushing themselves over the edge". Most of the album was recorded live with the whole band playing in the studio. It's a really interesting sound. 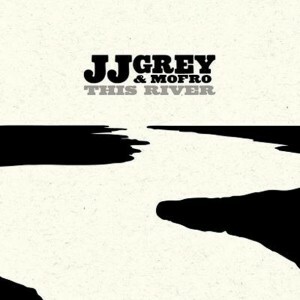 This album is the first time I've listened to JJ Grey & Mofro, so I was expecting more of a Blues/Southern rock album, whereas what you actually get does contain Blues and Southern rock - as well as R&B, Soul and Funk. It sounds like a slightly strange mix but damn it works well - this is superbly good music. 'Florabama' reminds me at times of some of the better songs by Prince. It's a really strong album - the blend of styles works so well that it's hard to say what genre any particular song is - they all have elements of multiple genres blended together to form a superbly enjoyable album. An excellent album that's highly recommended.